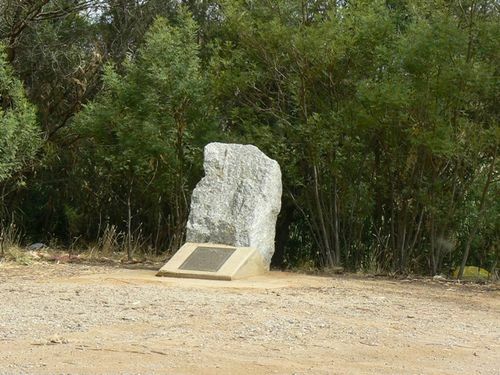 Monument commemorates the development of the first permanent stock and domestic water supplies in Victoria. East Loddon and District Historical Society. This plaque commemorates the development of the first permanent stock and domestic water supplies in Victoria. In 1858, landholders adjacent to the Serpentine Creek contributed the sum of P434-4-6 to develop permanent water supplies. This project began in August 1858 and water flowed into the Serpentine Creek in November 1858.